Recently I crossed paths with someone who was a user and distributor of Herbalife. They talked about the success they had with the product, which was great. Unfortunately it didn’t stop there. They wanted to talk about how great Herbalife was and how Shakeology didn’t really work. They claimed that people could not change anything about their lifestyle and eating habits but still see results if they added Herbalife shakes. I find this completely hilarious because if someone eats the same bad 3 meals and just added Herbalife, there is no way they would see results. Adding in extra calories without adjusting your diet would definitely not help obtain results. Also I understand that different things work for different people and each person’s results will vary. I can see how someone would see results if they substituted a Herbalife shake in the morning instead of a large calorie fatty breakfast. That would be a “change” though. With that change they reduced calories as well as added nutrition. 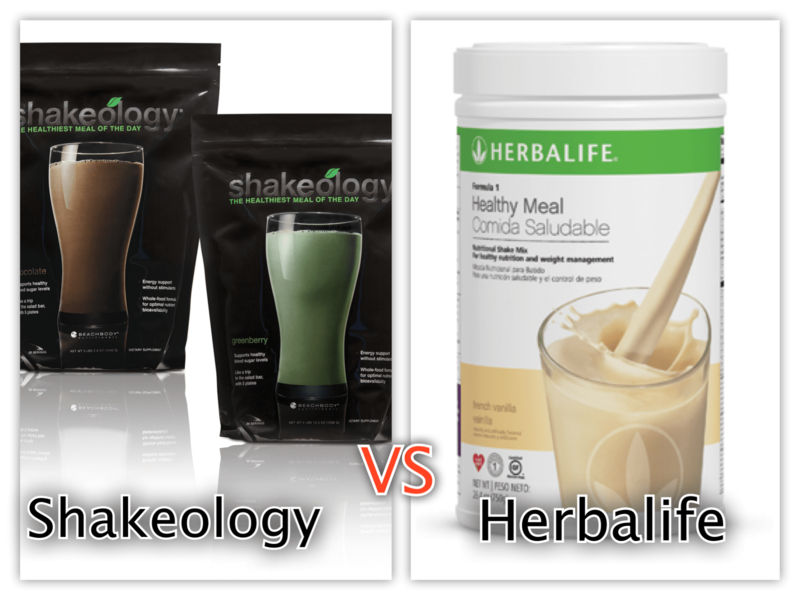 After talking with this person, it peaked my interest on how Herbalife Formula-1 really compared to Shakeology. Maybe it was better or maybe it had other benefits I wasn’t aware of. So I started to do research. I had heard of Herbalife before but hadn’t really looked into the details of their products. Since I was doing the research I thought I would go ahead and do a little comparison. Hands down Herbalife wins in the cost category. It is super cheap compared to Shakeology. Herbalife is cheaper by close to $3 per serving. That is a huge difference if you are on a tight budget. Cost isn’t everything though and you have to really wonder how Herbalife can afford to sell their shakes at such a low-cost. So after reviewing the nutrients in each product we can start to get a picture of how Herbalife can be so cheap. The nutrients in Shakeology are top of the line and are some of the best on the market. 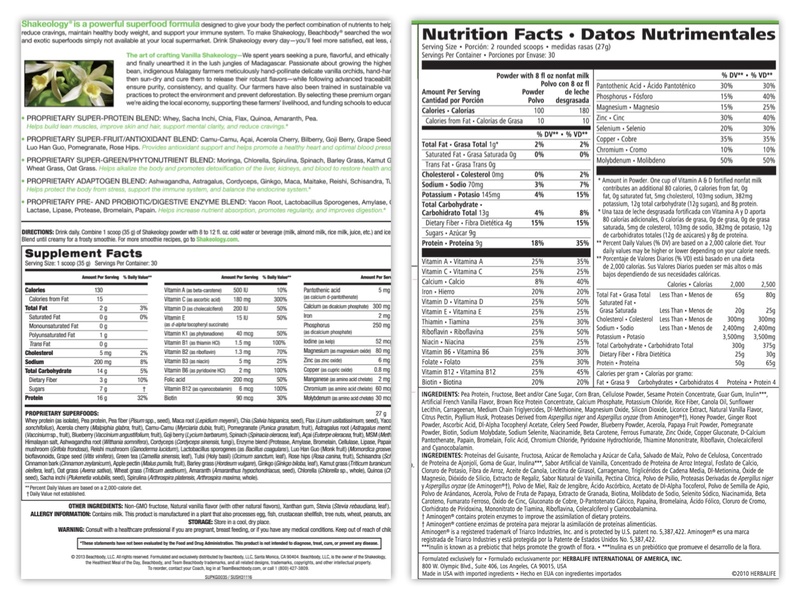 If you look at the graphic of the nutrition panel from each product, you can see the difference for yourself. Before using Shakeology I researched their nutrients and it is actually the reason I decided to start using it. It is definitely a great way for me to get tons of vitamins and minerals that I would not get from my normal diet. When looking at the two products, you have to also compare the companies that make them. Herbalife has been around a really long time and is a huge MLM (Multi Level Marketing) company. Beachbody has been around awhile but not nearly as long. A reason I prefer Shakeology over Herbalife is that I enjoy and believe in the fitness programs that Beachbody produces. Herbalife is more about nutrition, and there is nothing wrong with that. I just prefer to use the same company for my whole lifestyle. Also it seems that Herbalife has had a lot of negative publicity with regards to previously using ephedra and more recently about their business practices. This would not give me a good feeling about supporting that company. After all the research I found from others and my own, I will be sticking with Shakeology. To me it just seems to be the superior product. So with saying that, I believe that anyone can still get results with either product. If someone adjusts their diet to be healthier and adds in some activity for fitness, they can use either shake as a tool to help them become a better them.